Armstrong House is the town’s first “Grade A” office building and is located at regeneration leader Wykeland Group’s fast-growing Flemingate centre. Now, two successful local firms, independent financial advisor Ashley Phillips and software developer Garage Data Systems, have taken the last remaining suites. They are the latest businesses to be attracted to Flemingate by an unrivalled combination of first-class offices, a high-profile location and superb amenities, including dedicated parking, and with cafés, restaurants and shopping all on the doorstep. Ashley Phillips, a family-run financial planning firm specialising in pensions, has doubled its floor space by moving its five-strong team to Armstrong House. John Gouldthorp, from Wykeland Group, right, with Phillip Trevarrow, of Ashley Phillips, in the company’s new offices in Armstrong House at the Beverley’s Flemingate centre. Phillip Trevarrow, Director and Principal Financial Advisor at Ashley Phillips, said the move would help the business to grow. 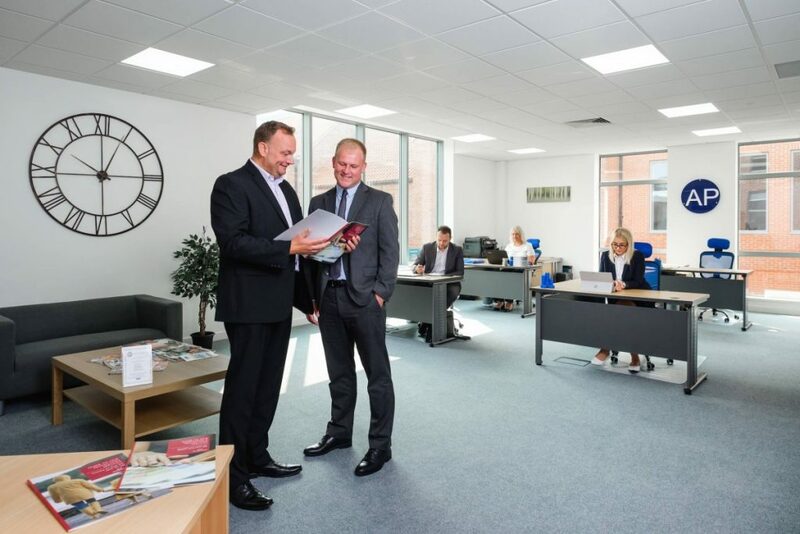 He said: “We wanted to be in a modern environment with a bigger office space to enable us to grow and Flemingate fits the bill for our business. “Armstrong House offers new, air-conditioned offices in a great location. We’re right in the centre of where it’s all happening – we have facilities all around us and there is easy parking for our clients and staff. Armstrong House comprises just over 1,000 sq ft of spacious, open-plan offices which benefit from comfort cooling and daylight dimming lighting, as well as shower facilities and dedicated parking spaces, in addition to contract parking available in the 500-space multi-storey car park within the Flemingate development. John Gouldthorp, from Wykeland Group, centre, with members of the team at family-run Ashley Phillips, from left, Tracey, Phillip, Ashley and Lauren Trevarrow, with the Armstrong House offices in the background. The building is already home to Deluxebase, an international toy and games manufacturer, and Local Transport Projects (LTP), which supplies professional traffic engineering, transport planning and highway design services to the public and private sectors, as well as Flemingate’s centre management team. Meanwhile, Garage Data Systems, a Beverley-based firm which provides business software for motor trade professionals, has moved to Armstrong House from nearby Minster House. 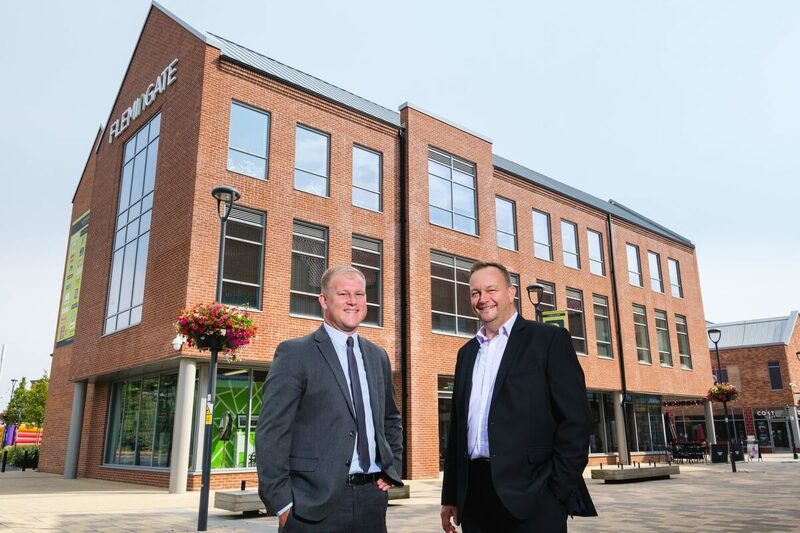 John Gouldthorp, Asset Manager at Wykeland Group, said: “Armstrong House brings an important element to the mix of uses at Flemingate and has introduced much-needed high-quality, modern and fit-for-purpose office accommodation to Beverley. 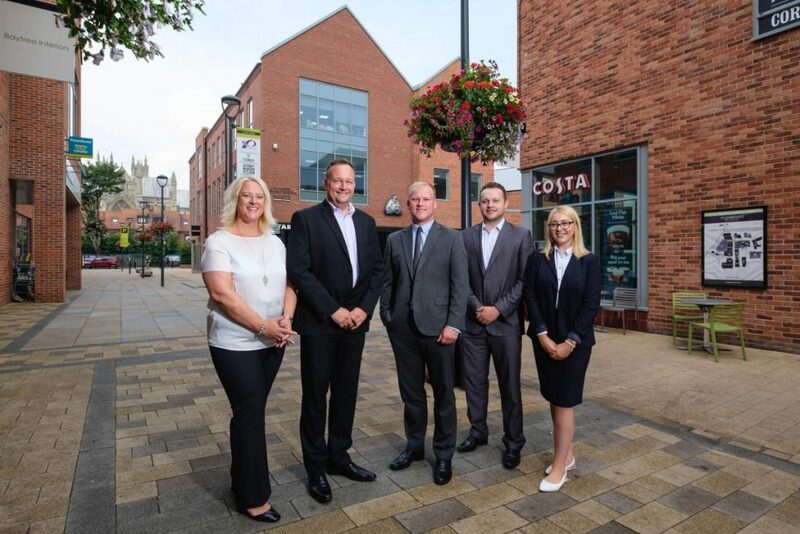 The Flemingate development is Beverley’s largest-ever regeneration scheme and includes big-name brands such as Debenhams and H&M as well as being home to the East Riding College campus, an 80-bed Premier Inn hotel and a six-screen digital cinema, Parkway. Agents acting for Wykeland on the Armstrong House lettings were Scotts Property and PPH Commercial.